Make your residential move or commercial move in or out of Annandale a stress-free experience by using Optimum Moving’s relocation services. Our elite moving team will make sure that your move goes as seamless as possible. We cover every aspect of your move, including packing, lifting, loading, unpacking, and more. Located in Hunterdon County, NJ, Annandale is an unincorporated community found in the Township of Clinton. With a total area of nearly 1.5 square miles, the Immaculate Conception School operates in Annandale, and is supervised by the Roman Catholic Diocese of Metuchen. As Annandale is located with Clinton Township, the community is accessible via Old Highway 22 and W Main St. In Annandale, New Jersey, Optimum Moving is the brand that many families and businesses trust when it comes to moving. 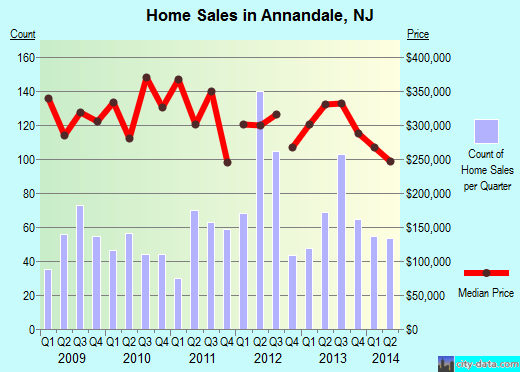 The average house in Annandale costs about $367,141 and usually features 3- and 4-bedrooms. Residents are known to stay in this city for extended durations, with 57% of its 1,695 residents living in the same house for five years on average. Property owners live in their houses or condos for an average of 15 years here while renters live in for an average of five years. At Optimum Moving, we offer affordable moving services. What’s more, our knowledge pertaining to NJ local areas are second to none. We take extreme precautions when handling your belongings. We understand that certain items can be your family heirloom. If you need us to move big-sized items, we utilize an array of professional moving equipment, including dollies and even containers, to make sure they are moved to your new home intact. When you move with Optimum Moving, you can enjoy complete peace of mind. Try us today and you are guaranteed a successful move in Annandale. Want to learn more about a Annandale Move?